Ana Torres, Lindau Alumna 2017, graduated with honours in Chemistry from the National Autonomus University of Mexico (UNAM) in 2008. She obtained her M.Sc. degree with honours from the School of Chemistry – UNAM. Ana received his Ph.D. in Chemistry with honours from the Materials Research Institute-UNAM in 2016. She was a part-time university teacher in the School of Chemistry UNAM and academic mentor of undergraduate students. 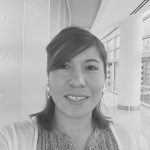 At present, she is a postdoctoral researcher in the Department of Chemical Engineering in Texas A&M University within the group of Prof. Perla Balbuena. Ana is a proud mother and wife committed to motivate young girls to pursue a career in science. She was highly honoured to share a panel discussion with Nobel Laureate Mario Molina.